Atlanta / Orlando — Maritza Concha Ph.D, founder and president of Orlando-based Covian Consulting will be a featured presenter at Evaluation 2016 on Oct. 27 in Atlanta. The international conference will take place October 24-29 at the Atlanta Marriott Marquis and is sponsored by the American Evaluation Assn. (AEA) based in Washington, D.C. AEA is the leading organization providing professional development for evaluators and helping them connect with other professional development opportunities. Dr. Concha is known for conducting extensive studies for Covian Consulting clients to help them build successful programs and partnerships and alleviate social problems. She was chosen to present her latest paper “Engaging Participants in the Evaluation Process: a Participatory Approach” in the conference track “Collaborative, Participatory & Empowerment Evaluation. 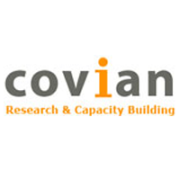 Covian Consulting is a professional consulting organization supporting community based organizations and small businesses with research, program evaluation, curriculum development, communication strategies, and staff development. 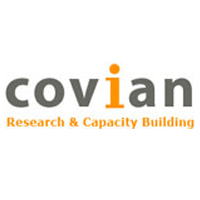 Covian Consulting is a client company of the University of Central Florida Business Incubation Program located at the Central Florida Research Park in East Orange County. Larry Vershel or Beth Payan, Larry Vershel Communications, 407-644-4142 or LvershelCo@aol.com. With seven facilities throughout the region, the UCF Business Incubation Program is an economic development partnership between the University of Central Florida, the Corridor, Orange, Osceola, Seminole and Volusia Counties, and the cities of Apopka, Kissimmee, Orlando and Winter Springs. Participating companies sustain more than 3,600 local jobs and have had a total impact of $1.51 Billion on regional sales and $2.48 Billion on regional economic output. During the last fiscal year, the program has returned $7.95 for every $1.00 invested in the program.